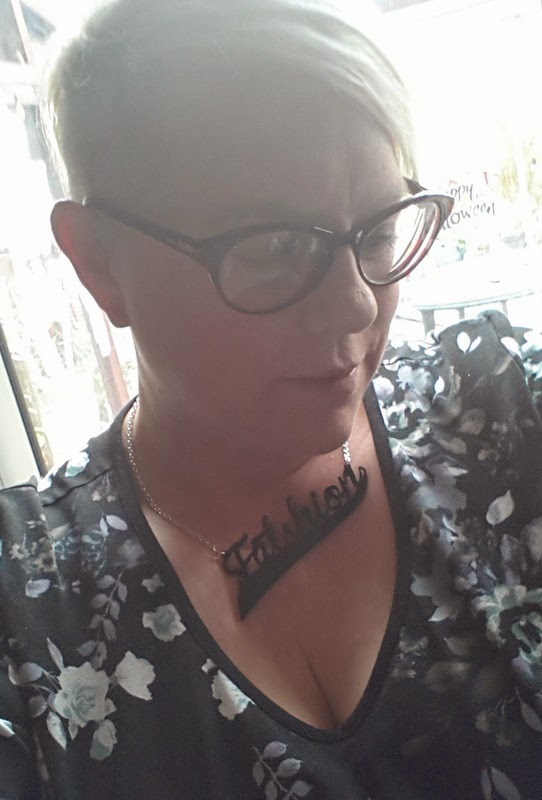 So last Sunday I was lucky enough to attend my first Fabb Event in Birmingham. 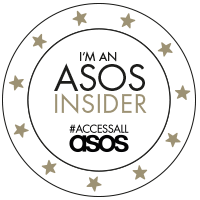 I had no idea about the event until the lovely Sara from Walking With Angels mentioned it to me on Twitter and I managed to book a ticket. It's great to see a Birmingham based event as we don't get many and I had never been to one of these before so was keen to see what it would be like and it was lovely to be able to see Sara again. 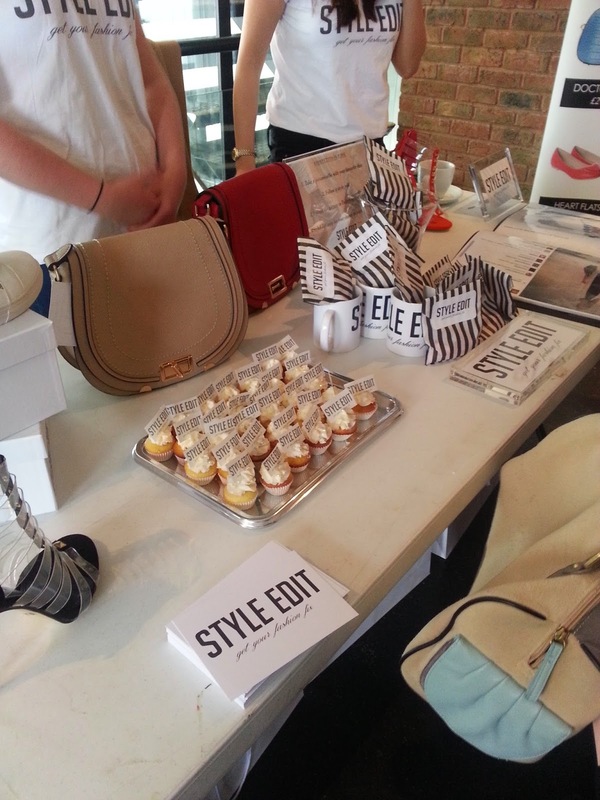 The event itself was held at Alfie Birds in the Custard Factory, which despite being a brummie is somewhere I had never been to before! The venue was spread over four floors with a bar at the bottom which had the most amazing food and lovely staff. When it was time we were called up and given our goodie bags and wristbands and then it was off to see all the brands. The brands themselves were split over two floors and I think we managed to get to nearly all of them! A quick selfie before I left for the event- I forgot to get a photo of what I wore!! 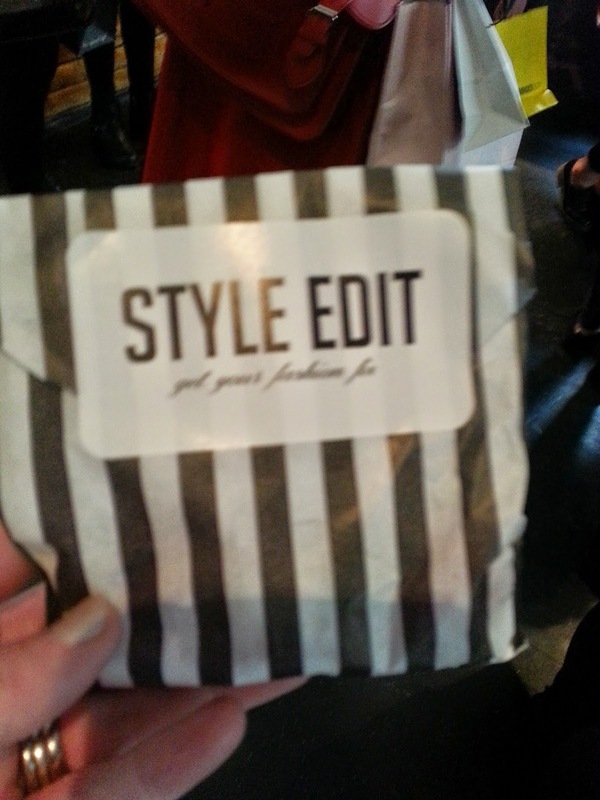 The style edit stalll where Sara and I both drooled over the red satchel, and nabbed a bag of sweets each! 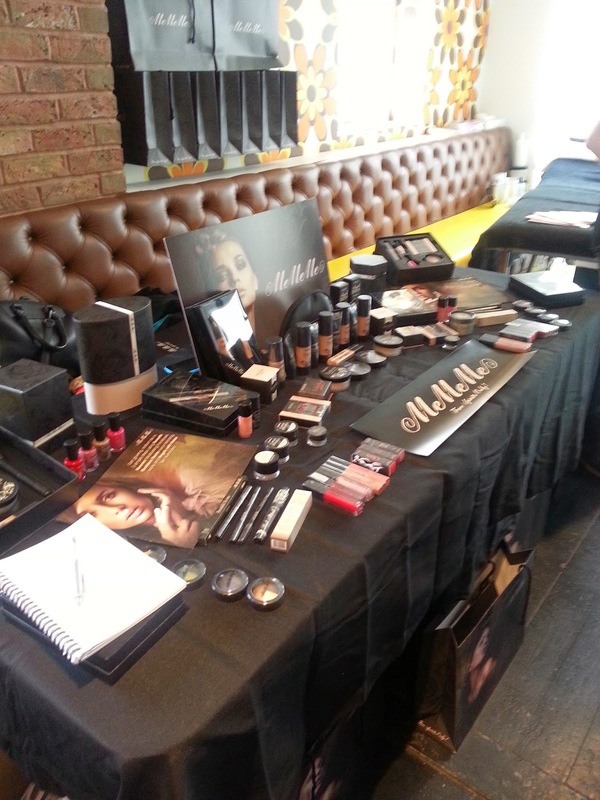 Also on this floor was the stall for MeMeMe Cosmetics which I think was probably one of my favourite brands of the day. I already have one of their blushers but hadn't seen any of their other products. 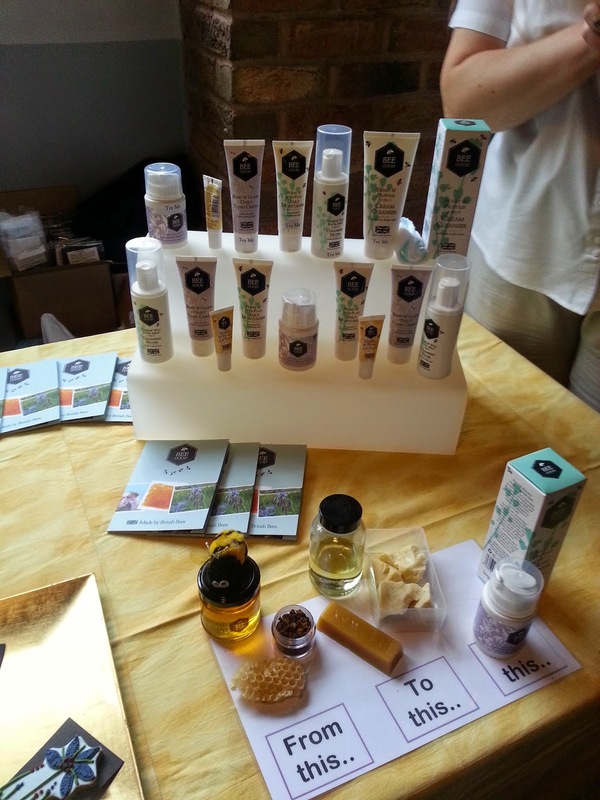 I loved all the packaging and the lady on the stall was lovely and so passionate about the brand. We were given the most generous goodie bag and I can't wait to try out all the products. 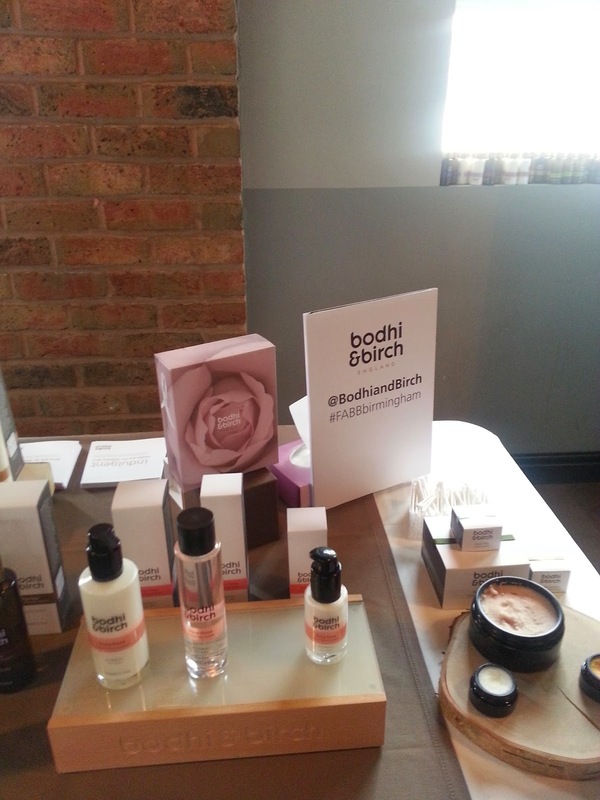 After this we headed upstairs and straight to the Bodhi and Birch stand where we met Elijah Choo the founder who was so lovely. I tried a facial oil which is not something I would ever consider due to my combination skin but as I discovered this isn't the case and I left with a sample of the oil to try. 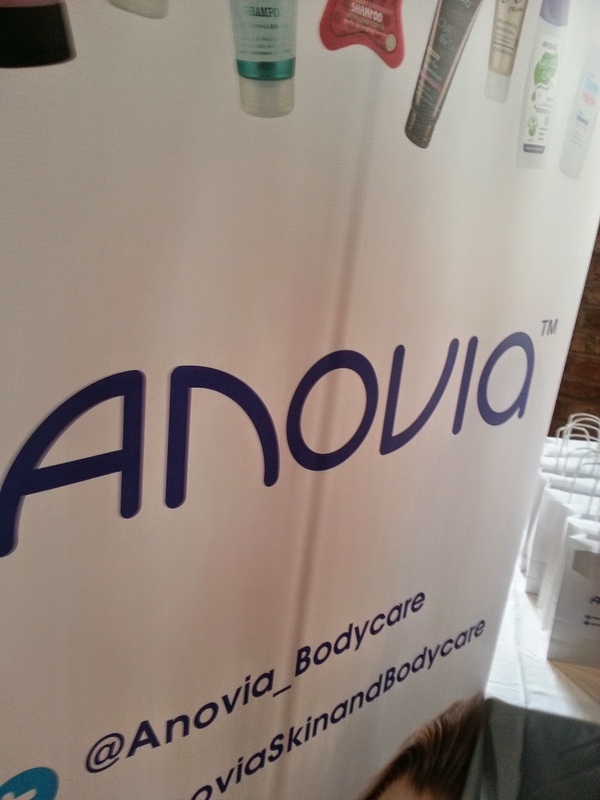 Next up we headed over to the Anovia stand who are a brand that sell UK made budget beauty products. 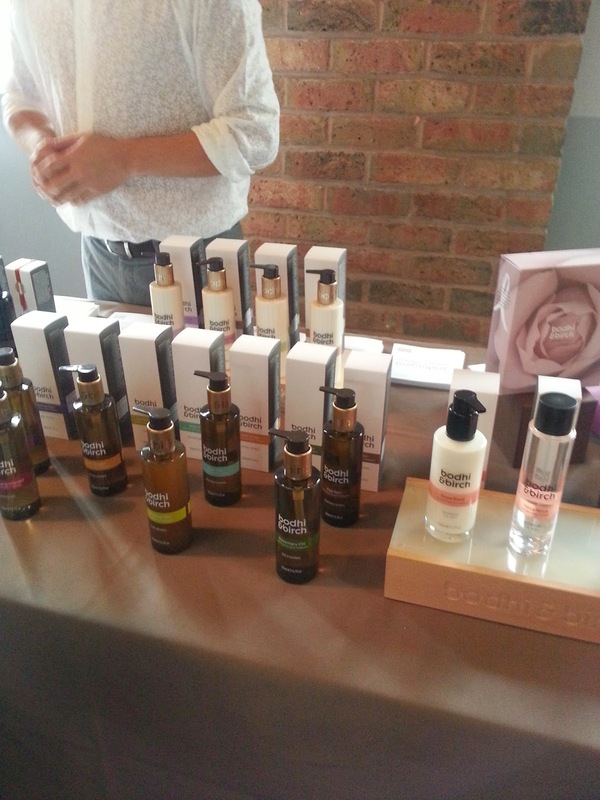 You will find their products in shops such as Home Bargains and Poundland. I was pleased to see not only a budget brand but also a UK made one as well. The lady on the stand was amazing and so passionate she really sold the fake tan spray to me especially as like me she was very fair skinned! I am definitely going to look for their products next time I hit Home Bargains! 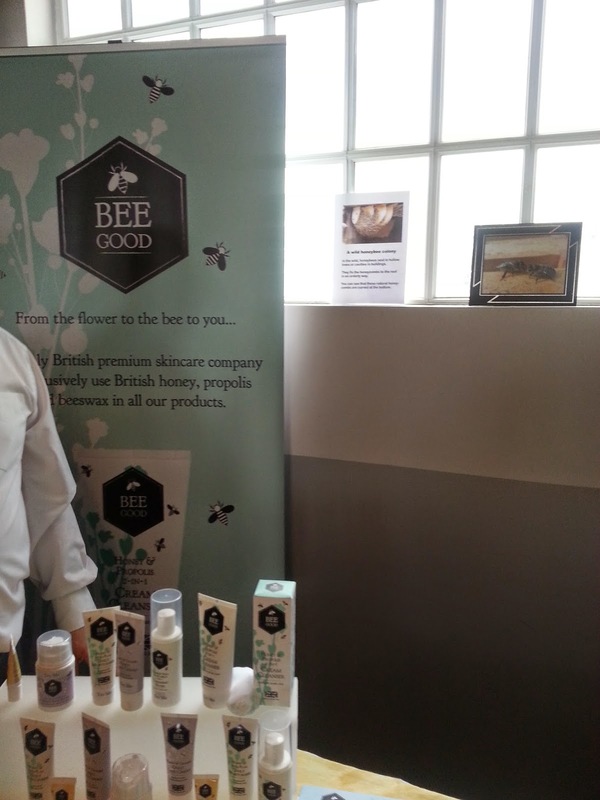 Our next port of call was to Bee Good, whose products are made from British honey. I got the chance to try some intensive hand cream which left my skin so soft and we were given a free lip balm sample which I think my son may end up pinching! 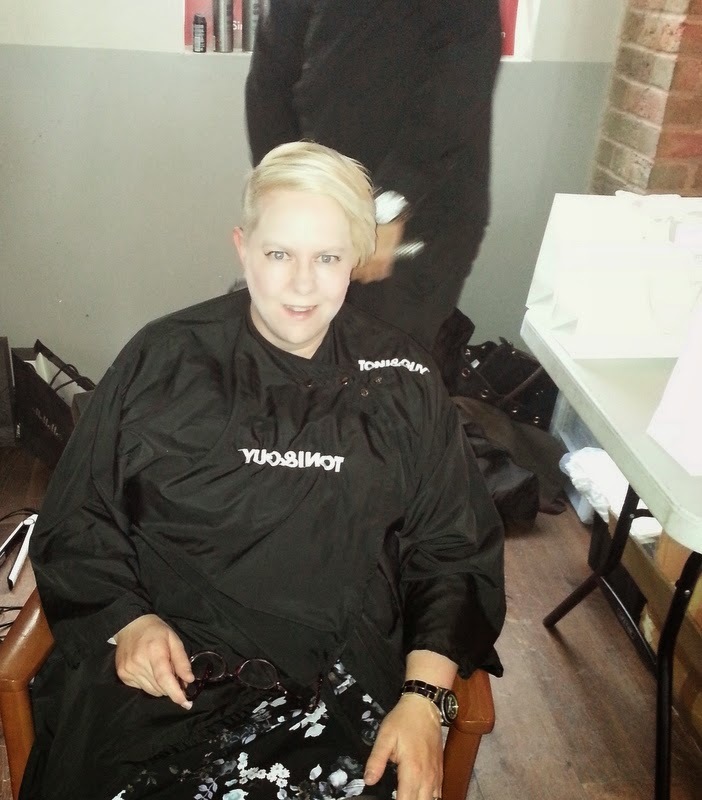 Toni and Guy were also on hand if you wished to have your hair styled and even though mine is short they re-styled it and put loads of volume into it. They were very much in demand all day! Thanks to Sara for taking the photo! After seeing all the stalls Sara and I headed downstairs for a much needed drink and a sit down, I treated myself to a cheeky pint of cider whilst Sara had the most amazing sausage bagel. I want to go back to Alfie Birds to try out some more of the amazing food! Once home I had a good mooch through all the goodie bags we had been given which took awhile as we came away with so much stuff it was amazing and very generous! It just leaves me to say thank you to the organisers for a 'FABB' Event which I think it's fair to say we both really enjoyed!